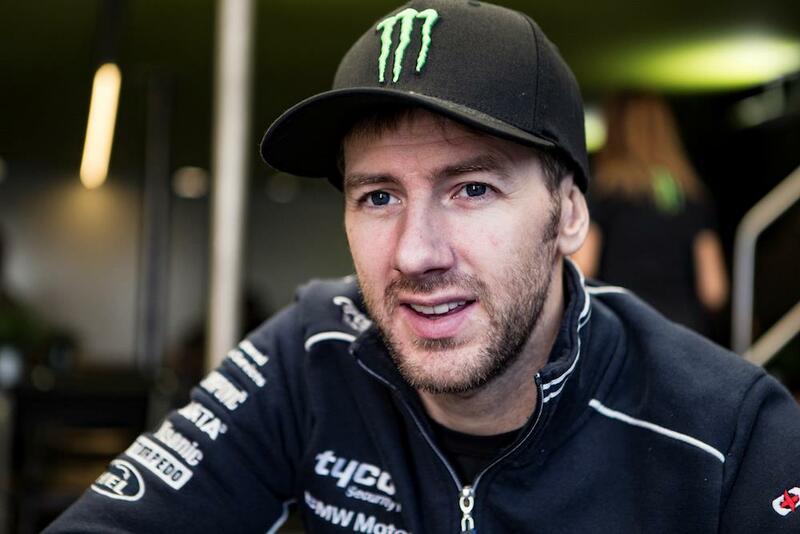 Ian Hutchinson has vowed to return for the 2018 Isle of Man TT after breaking his left leg for a third time during this year’s Senior race. Hutchinson crashed at the 27th milestone while leading this year's Senior TT, breaking his femur and ankle on the leg that he almost lost following a British Supersport incident at Silverstone in 2010. However, despite the injuries the Bingley Bullet is determined to return to the iconic mountain course to further improve his TT win tally, which hit 16 this year with victories in the Superbike and Superstock races making him the third most successful solo rider in the event’s history. Having lost 45mm of his leg, Hutchinson has spent the last three months stretching that 45mm back out of his tibia – a excruciating process he details in an exclusive interview with MCN this week. Despite being convinced something went wrong to cause the crash, Hutchinson is focusing his attention on being fit to return for next year’s TT. “Of course I want to know what happened and we’ve looked into it a bit, but I don’t want to set my mind on finding out and trying to blame something if it isn’t going to be straightforward,” he said in one of his first interviews since the crash. “Instead, I want to focus on what I’m doing, getting fit and coming back and winning again. “I’ve not got any specific targets as to when I want to be back on a bike. Last time it happened I was panicking so much about timescale all the time. I wanted to be back in a certain amount of time and it ended up going on for three years. This time, I rang my surgeon and said the timescale is to ride at the TT next year, so he’s had a load more time than was needed whereas last time the targets weren’t realistic. “The frame comes off my leg at Christmas but I’ll be training before then. At the moment my femur and foot plate are non-weight bearing, but the foot plate should be the first thing off and hopefully the femur will be weight-bearing by then and I’ll be able to do some work with the frame on. To read the full, exclusve interview, pick up this week’s MCN.